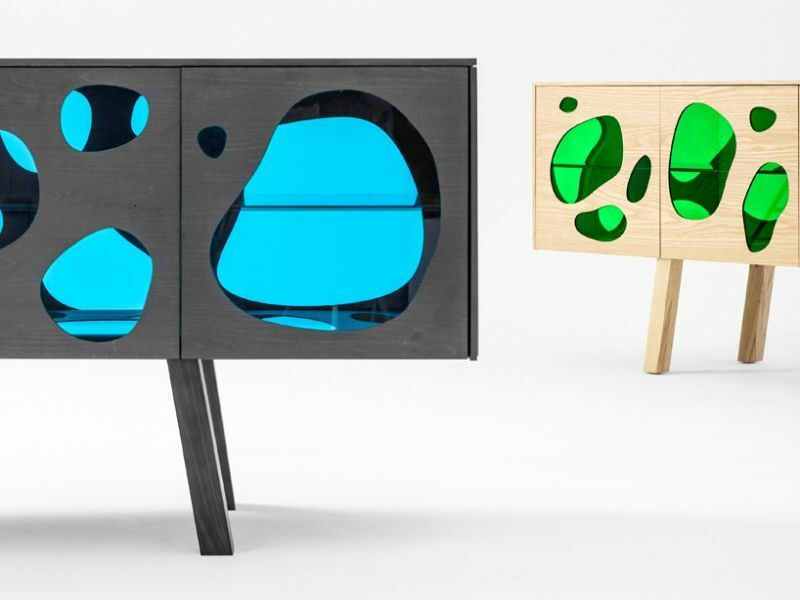 The Campana Brother’s storage cabinet design for BD Barcelona, is a striking design which is characterized by transparent colored glass which creates a number of windows, which are shaped like bubbles. The design is inspired by an aquarium theme which gives the impression of a design which is playful yet stylish. The material used is stained pine or ash wood and transparent glass. The interior shelves are made of glass, so that light can pass through. The use of fluid shapes transforms the cabinet into a design element which imparts a sense of style and provides the necessary storage required. The Endless storage solution was designed for Massoproductions by Chris Martin. 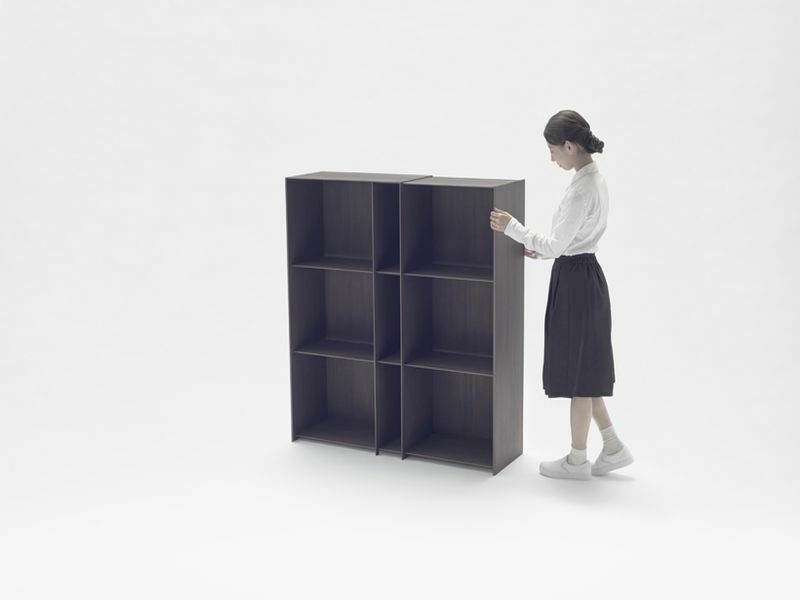 The design truly gives the feeling of being “endless”, as numerous individual shelves can be connected together, according to the user’s requirement. The designer came up with this unique storage solution keeping in mind the open-plan spaces which are abundant these days. The shelves can act as storage shelves which are wall-mounted and also as freestanding area dividers, which can solve two requirements of open-plan spaces at one go. The units are linked by screws and can slant forward or be connected alternately, to create a rhythmic wall. The minimalistic design units are available in two sizes. The Japanese company revealed the Nest Shelf at the London’s Design week. This innovative design is a shelf series which expands sideways. The design is airy and is made out of carbon fiber, which made it possible for the thickness to be 3.7mm only. The internal horizontals are a complicated honeycomb design constructed from aramid fiber honeycomb fitted between two carbon fiber layers. Simple slots enable a smooth sliding action. The finish is larch veneer which gives a rich look to the shelves. 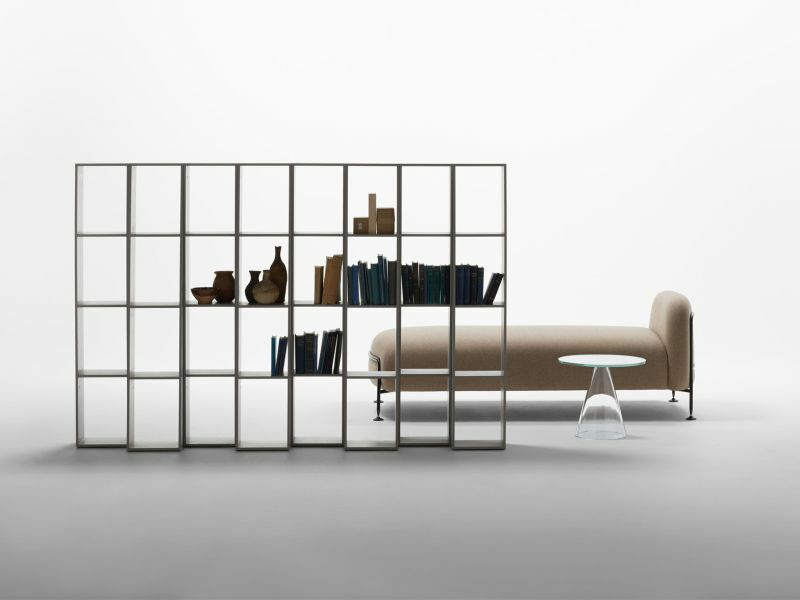 In compressed form, the shelf is just 650mm and 1300mm when it is expanded fully. Rianne Koens, a Dutch designer came up with a solution for seating which can be converted into storage too. This is a useful design for people who live in small space and do not have much space to seat guests. The modular stools are designed in a way that they can be stacked to form a cabinet when not used as stools. 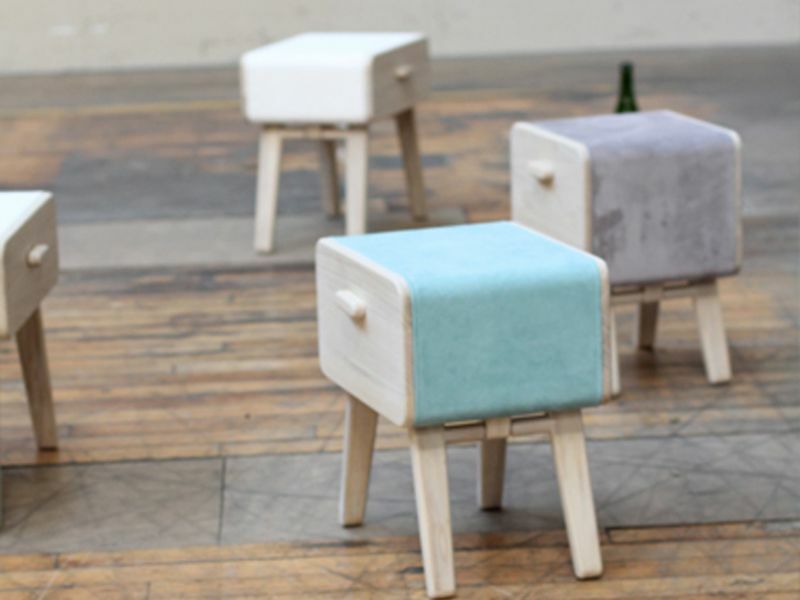 The moveable legs can be folded or unfolded to form storage or seating units, even ottomans. The different sizes make the design dynamic and is brilliant for those who live in tiny apartments and want to have ample storage and seating space. 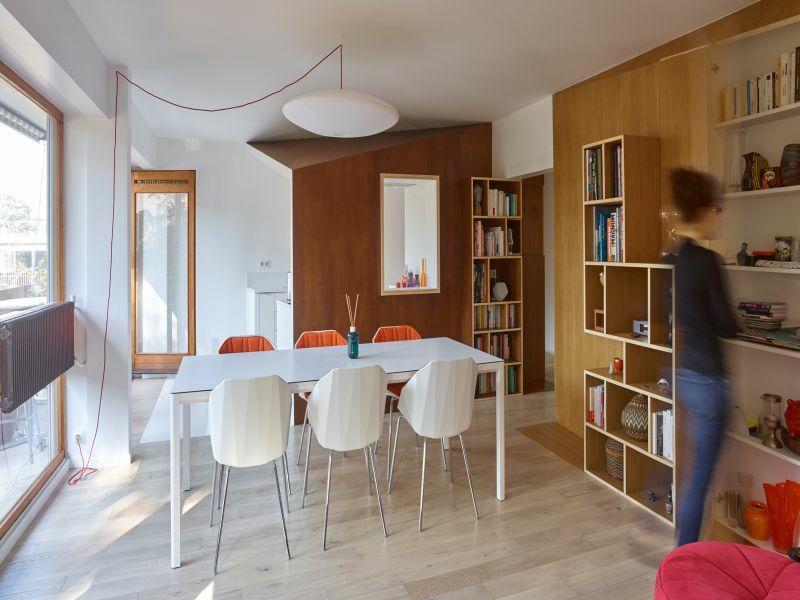 French design studio h2o created concealed storage in an apartment they renovated. The apartment was visualized as an open-space concept which freed up maximum space giving the feel of a vast space. The free plan allowed maximum natural to filter through from both sides of the apartment. As for storage, the designers created wooden storage solutions which kept clutter concealed throughout the home. Each wooden volume features sloping and angular edges which look as though they were slotted within the building. Chinese designer created the CCTV wardrobe inspired by the headquarters of CCTV which was designed by the OMA, a Dutch firm. 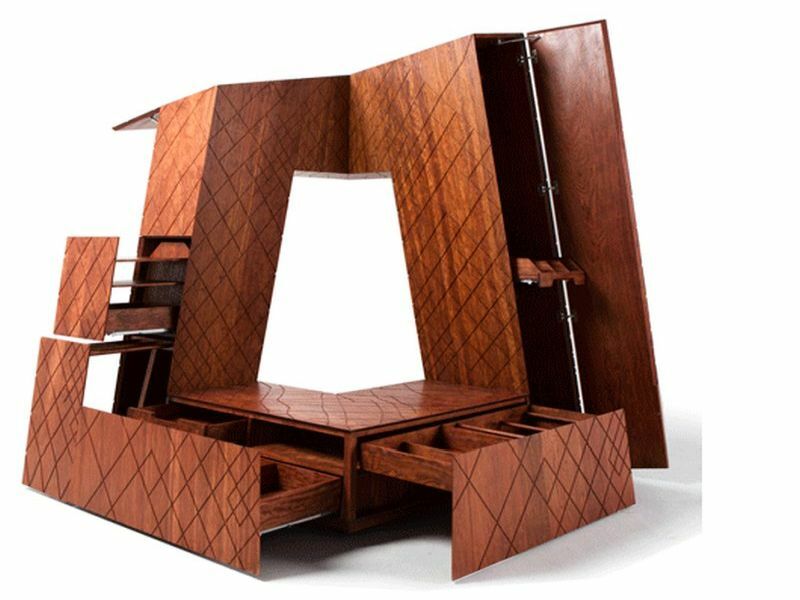 The wardrobe is built on a 1:100 scale and is made from Brazilian rosewood. The design incorporates the building’s distorted loop form and has the identical groove pattern used on the building’s façade. The wardrobe has many storage compartments, including a tall cupboard, dividers at the base and drawers. These innovative storage solutions can inspire you to design unique storage solutions for your home or office too, which are stylish and multi-functional as well.